A harsh post that sought to tell the "truth" has rubbed many the wrong way. 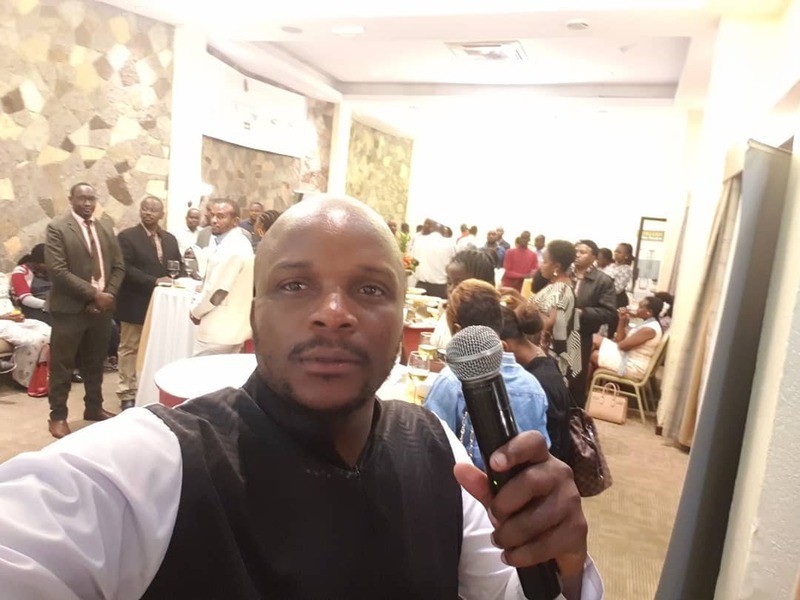 Comedian Jalangoo posted an explanation of why women should always take gifts from men with strings attached. The comedian claims that men are 'born investors and when they invest in you they expect returns.' Then the blowback came. Many believe that the timing of this post is terrible. I think it's time we became honest with each other....Too many young beautiful girls are dying some of the most saddest deaths you can't wish for someone daughter! It is time we disscussed this issue! Rule one! No man gives any woman anything for free! Yes i said it ! Men can we tell them this! Even your dad takes you to school so that at old age and when he can't provide for himself he will depend on you! So my sister before you take any money from any man just ask them what they want in return and if you cant offer what they want RETURN IT! SIMPLE DO NOT PROMISE WHAT YOU CANT DELIVER! People work soo hard for their money my sister! Do not exchange lies for a man hard earned money! My sister ... my daughter when you decide to live beyond what your parents can afford be ready to pay the price that the owner of your lifestyle will ask! Men are born investors and when they invest in you they expect returns! If you can't give the returns just live the life your parents can afford! And nothing is as good as you being able to afford that life! Do not be sad that your age mate is in Dubai and wearing all the latest hair and clothes, they may be sad for what they had to do to be in Dubai and sad that they don't even love that person they are with in Dubai! 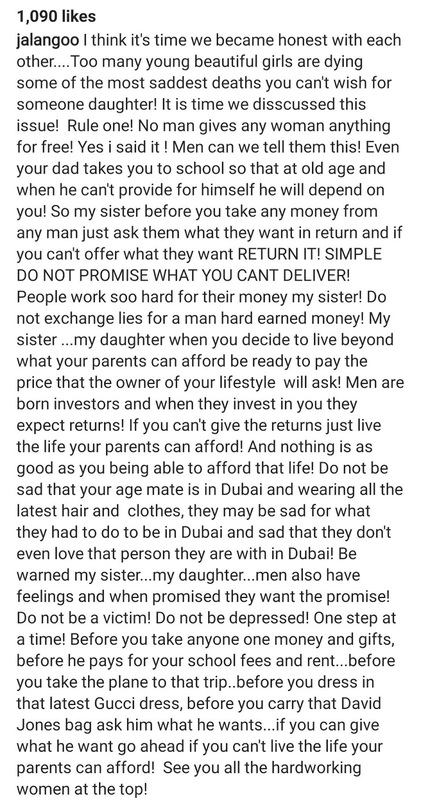 Be warned my sister...my daughter...men also have feelings and when promised they want the promise! Do not be a victim! Do not be depressed! One step at a time! Before you take anyone one money and gifts, before he pays for your school fees and rent...before you take the plane to that trip..before you dress in that latest Gucci dress, before you carry that David Jones bag ask him what he wants...if you can give what he want go ahead if you can't live the life your parents can afford! See you all the hardworking women at the top!